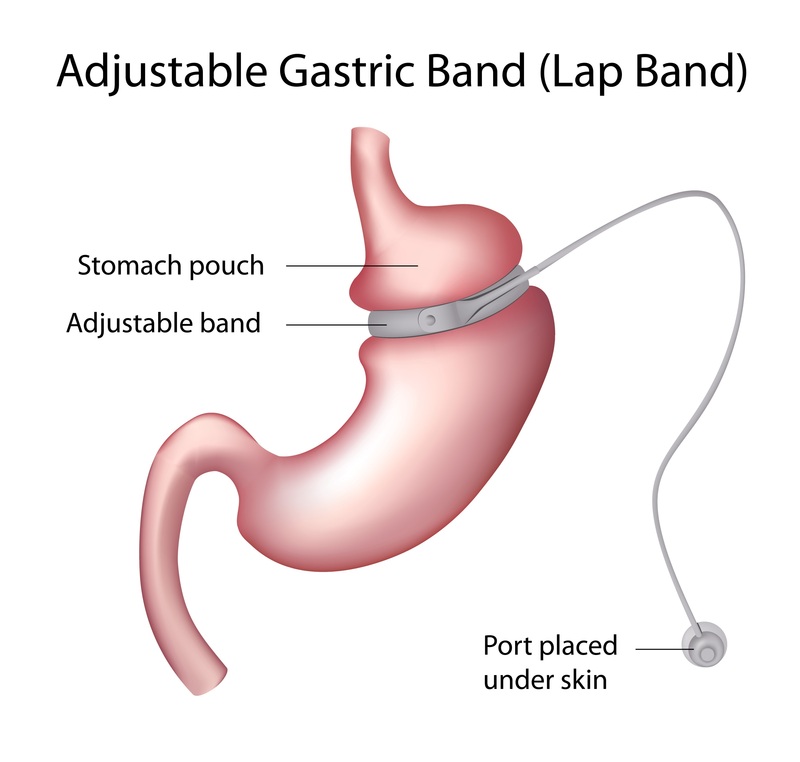 The adjustable gastric band is classified as a restrictive surgery. It gives a feeling of early fullness and satiety with a small amount of food. 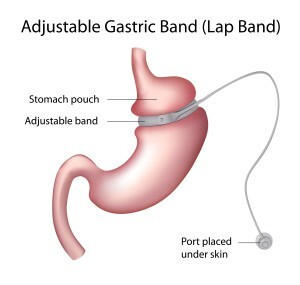 The surgery is performed laparoscopically and placed around the upper stomach to create a small stomach pouch. This small stomach receives food first when one eats and gives the feeling of early fullness and satiety. The inflatable silicone band creates restriction around the upper stomach and can be adjusted by the volume of saline inside the band. Saline is added or removed from the band by the use of a special needle inserted through the skin into the access port. This port is usually placed in a subcutaneous pocket in the abdominal wall. This operation does not involve any cutting, stapling or removal of the stomach and hence is considered the simplest, safest, and reversible weight loss operation. The band can be removed if necessary. Adjustments to the band may be necessary and require follow-ups with a surgeon. Good for early onset Type 2 Diabetes. Usual weight loss- 40-60% of excess weight in 1-2 years.